publishing house of Gyatrul Rinpoche. There is a new free teaching available on the Vimala Treasures site: "The Three Symbolic Supports of the Dharma." It's a PDF document 51 pages long produced from a teaching given by Khenpo Tsewang Gyatso Rinpoche in the early 1990s while teaching from a text by Schechen Gyaltsap at Orgyen Dorje Den. "This teaching is all about the benefits of building stupas, statues, monasteries, and writing dharma texts. It is good to understand the benefits clearly, so we can apply them in our daily life. This is not a teaching that we need to sit down and practice every day, morning and night. There are immense benefits to building stupas, statues, monasteries, and writing dharma texts, but they all depend upon our motivation. Everything depends upon our motivation." If you looked at this text a few months ago, check it out again: there's a new version up with improved formatting, sections, a table of contents, and come corrections. Vimala Treasures has made freely available the Vajrasattva Mantra in Tibetan as well as an excellent English translation. 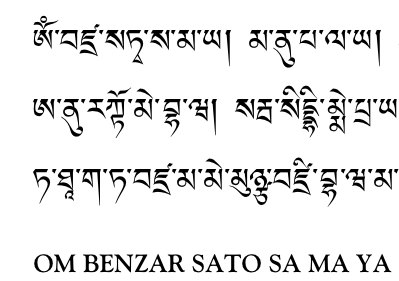 As a bonus, there are two nice quotes regarding the 100-syllable mantra provided as well. Vimalamitra (Tib. 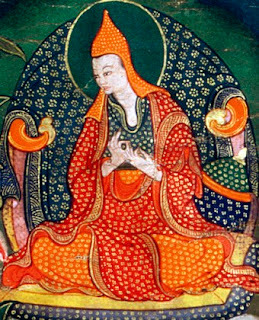 དྲི་མེད་བཤེས་གཉེན་, Drimé Shenyen) was an 8th century Indian adept and key to the history of Tibetan Buddhist Dzogchen practice. He lived equally in China, India, and Tibet, but was known as the "Sage of Kashmir". While living in Bodhgaya, he met Jnanasutra. Vajrasattva appeared to them and pointed out that they had achieved nothing through five hundred rebirths as scholars. If they aspired to reach Buddhahood in this lifetime, they should go to China to find their master Shri Singha at the Bodhi Tree Temple. Highly motivated, Vimalamitra immediately set out for China and found Shri Singha as Vajrasattva had predicted. For over twenty years he received instruction on the outer, inner and secret teaching of the oral lineage. Completely satisfied, he returned to India. Meeting Jnanasutra upon his return, Vimalamitra related what he had received and accomplished; Jnanasutra decided to travel to China to meet Shri Singha. Years later, still intent on his meditations and doing tantric practice, Vimalamitra was visited by dakinis who instructed him to go to the Bhasing charnel ground if he wanted to receive deeper instructions. At Bhasing, he met his old friend Jnanasutra and begged from him the instructions he had missed. Jmanasutra bestowed the empowerments, instructions and texts. Vimalamitra meditated on the teachings he received for ten years before Jnanasutra achieved the rainbow body and left him with his final legacy, a tiny jeweled casket containing the verses called Four Methods of Contemplation. He then instantly achieved realization equal to that of his master. He made three copies of the texts and concealed two in secret places and entrusted the third to the dakinis. Later, Vimalamitra was invited to Tibet by the translators Kawa Peltsek and Chokro Lui Gyeltsen, emissaries of King Trisong Detsen, and he was welcomed as a great master. Yudra Nyingpo became his collaborator and they translated a variety of texts, particularly those covering the topic of Dzogpa Chenpo. The quintessence of his teaching is known as the Vima Nyingtik, one of the Heart-essence teachings of the Great Perfection. 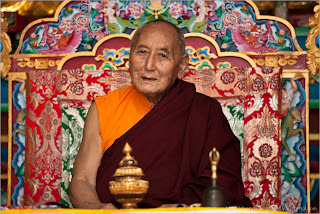 After spending thirteen years in Tibet, he prepared to leave, promising to return to Tibet every hundred years as an emanation to further the Clear Light teaching of Dzogpa Chenpo. He then left for the Wutai Shan mountain in China where he remains in rainbow body form , and will continue to do so until all of the 1002 buddhas of this Fortunate Aeon have appeared. After that, he will once again go to Vajrasana in India, where he will manifest the state of complete and perfect enlightenment. 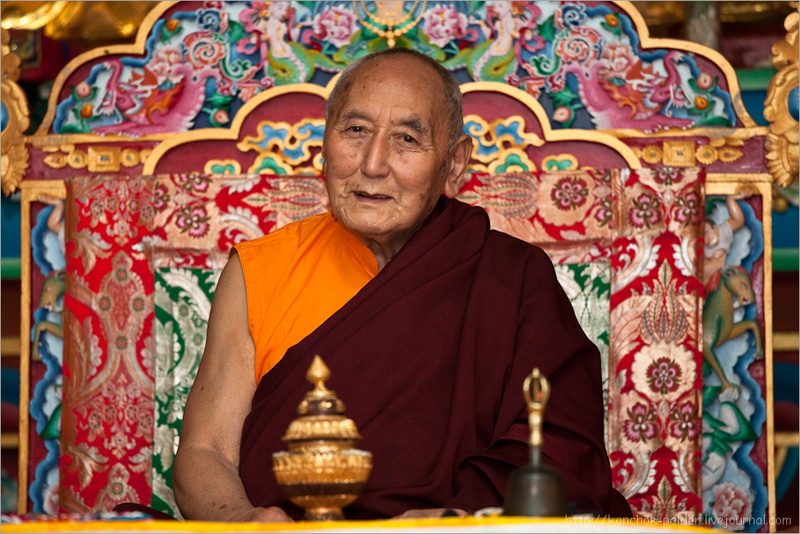 The name Vimala was chosen by the Venerable Gyatrul Rinpoche. Vimala is a Sanskrit word meaning "stainless"; its Tibetan translation is dri med. 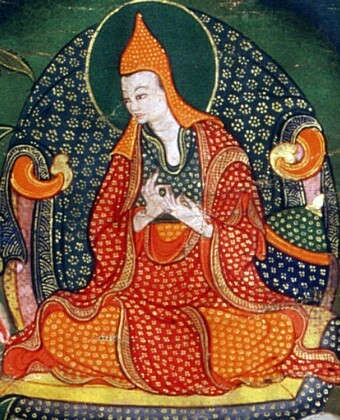 Its connection with the widely revered and beloved Indian master Vimalamitra (dri med she nyen in Tibetan) is also particularly auspicious. The above was taken from the Vimala "About" page. A New Blog for Vimala Treasures! We'll be writing updates here to inform you about new products, free teaching materials, related teachings and internet resources, and much, much more!